Chris Green’s Résumé sees life as a series of jobs: pimp’s assistant, lost pet psychic, petting tent attendant, target changer, aviary security, etc. Any job is both unspeakably ordinary and mercilessly strange—stock broker or pimp’s assistant, the same. And here, slipped between poems of work, a series of “Jobless” poems reflects a recurring state of being. Also in the book, poems about the jobs of vital relatives—in Green’s family, mangy is not a bad word—all of them with perfectly strong legs, all chasers with nowhere to run. In the end, the work of poetry becomes a refuge in Résumé—a stillness at the end of the day. 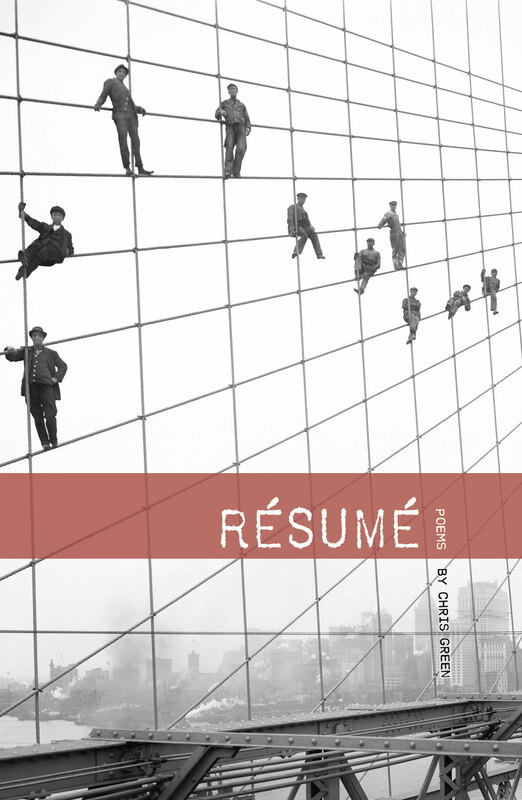 The poems are a well-rounded account of actual events and work to provide reasoning for life’s whimsy…Résumé suggests rewards of infinite possibility if you’re willing to work for it. These poems are alive with dark humour and profound wit. And knowing, Chris Green knows stuff, he knows the emotional toll paid by those that toil. 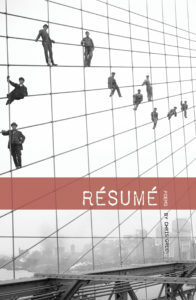 These clear-eyed yet inventive poems about work offer a hard-won wisdom that lifts us above suffering to understanding. Green’s is a marvelously spare and colloquial voice with the kind of detail that cherishes and transforms our lives, that compels us with the authority of experience. His material is his own and others’ brutal and toxic jobs, which in the hands of such a skillful poet, provide a vision that reaches beyond the subject to his spare but complex epiphanies. eyes roll back—his fur buffed to a scar. I’ve seen real tears fly out of a donkey’s skull. my grandmother in her cancer bed. demand their children to the front. in the end is suffering, even love. I tell a hysterical child there’s nothing to fear. Here’s the little white goat (little white ghost).